The federal Liberal government has tapped a seasoned judge to lead renewed Indigenous consultations efforts on the Trans Mountain expansion project after Ottawa received a stunning rebuke from the Federal Court of Appeal last month that quashed cabinet approvals. The federal Liberal government ended up choosing a seasoned judge to lead renewed Indigenous consultations efforts on the Trans Mountain expansion project after Ottawa received a stunning rebuke from the Federal Court of Appeal last month that quashed cabinet approvals. Frank Iacobucci, an 81-year-old former Supreme Court of Canada justice, has a daunting task before him: jump-starting a reboot of the so-called Phase 3 consultation process with Indigenous peoples so the government can meet its constitutional duty to consult with them before making another final decision on whether to proceed with construction. Iacobucci will do this without a set deadline from Ottawa — a signal, experts told CBC News, that the government expects this new process will take months, not weeks. That's a troubling sign for oilpatch boosters who increasingly are restless about constrained pipeline capacity, and for the opposition Conservatives who are pushing for a fast resolution to the legal quagmire. Despite this new process, Prime Minister Justin Trudeau has already said the project will be built, but in "the right way." The author of the Federal Court of Appeal decision, Justice Eleanor Dawson, did not mince words in her ruling, describing the Trudeau government's Phase 3 efforts as a "failure" — and using that word well over 100 times in a 272-page decision. Iacobucci will now have to ensure there is meaningful, "two-way" dialogue between the Crown and affected Indigenous communities. 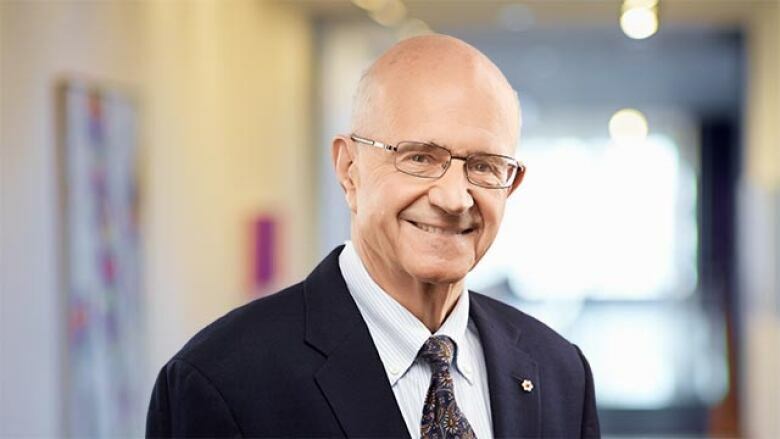 While Dawson called previous federal consultants glorified "note-takers" who recorded concerns without acting, Iacobucci and his team will be empowered to turn feedback into action, where possible. The previous Crown consultation team believed, erroneously, that it could not add more conditions to the project than those the National Energy Board (NEB) already imposed as part of its Phase 2 consultation phase, the court found. It also did not consider alternative routes, as the Coldwater First Nation had suggested, believing it could not interfere with the regulator's expertise on these matters. It also essentially ignored warnings from the Sumas people of B.C. 's Fraser Valley that the project's path would disrupt Lightning Rock, a culturally significant spiritual and burial site. "The Crown must be prepared to make changes to its proposed actions based on information and insight obtained through consultation," the court wrote in its decision. "Canada is obliged to do more than passively hear and receive the real concerns of the Indigenous applicants." Iacobucci has had a busy career since stepping away from the top court in 2004 — chairing many government inquiries and fact-finding missions on everything from the alleged torture of Arab-Canadians and the shooting death of Sammy Yatim to an investigation into former Alberta premier Alison Redford's alleged ethical challenges. And Iacobucci is no stranger to the Indigenous file. He was tapped by former prime minister Stephen Harper to help pick the Truth and Reconciliation Commission (TRC) commissioners who studied the Indian residential school system, and he led reforms in Ontario to better represent Indigenous peoples on juries. His law practice (he still works with a top Toronto law firm, Torys) is focused on Indigenous issues and he recently co-authored a report titled, "Navigating Uncertain Future Indigenous Engagement Requirements: A Road Map for Project Proponents." Most recently, he was the former Ontario Liberal government's lead negotiator with First Nations peoples in the province's north on development of the massive Ring of Fire mineral deposit, which runs through sparsely populated areas inhabited mostly by Ojibwa, Oji-cree and Cree peoples. By all accounts, Iacobucci was a valued partner. When he stepped aside after Premier Doug Ford took office, Matawa First Nations said they had a "positive" relationship with the former judge. The federal Liberals are hoping he can repeat that success with coastal B.C. First Nations. Martin Papillon, an associate political science professor at Université de Montréal and an expert on the Trans Mountain project, said Iacobucci is well-positioned to right this ship — and his past writing on Indigenous consent provides insight into how he might steer this new process forward. Iacobucci has been a proponent of so-called "collaborative consultation," where the various parties gather around a table to hash out a reasonable compromise — a consensus — agreeable to all involved. It's more of a negotiation than a feedback-collection session. "An approach of partnership — in which multiple groups accommodate each other's interests — is often necessary to arrive at a mutually favourable outcome. This approach has culminated in successful projects that enjoy broad support and are economically beneficial to all parties," Iacobucci wrote more than a year ago in a letter to his clients, foreshadowing some of the courts' concerns. "Although there is no cookie-cutter model to follow, engagement must be a two-way process involving the mutual sharing of information, on everything from potential project effects to traditional knowledge and interests." While they don't have a veto, Indigenous peoples would be empowered to help design a project's final dimensions under this model. "A partnership model may assist governments in identifying opportunities to align the interests of, and bridge gaps between, project proponents and Indigenous peoples," Iacobucci said. Papillon said this sort of process, if it's executed properly, likely would meet the bar set by the Federal Court of Appeal and give the governing Liberals a chance to rescue a project that has faltered on their watch. "Iacobucci's goal, I suspect, is going to be to try and reach consensus," Papillon said. "This is possible with some of the First Nations involved, but only if you make substantive changes to the project. And that's where I don't know if the federal government, as the owner of Trans Mountain, is willing to make the investments and go along with the necessary delays to make the project more acceptable to a certain number of communities." "You can have the best process in the world but if you're not willing to budge on substance nothing is going to happen," he said in an interview with CBC News. "Is the federal government willing to move? It's not clear to me." Papillon said a number of scenarios have been proposed by Indigenous peoples — all largely ignored by previous federal consultants. 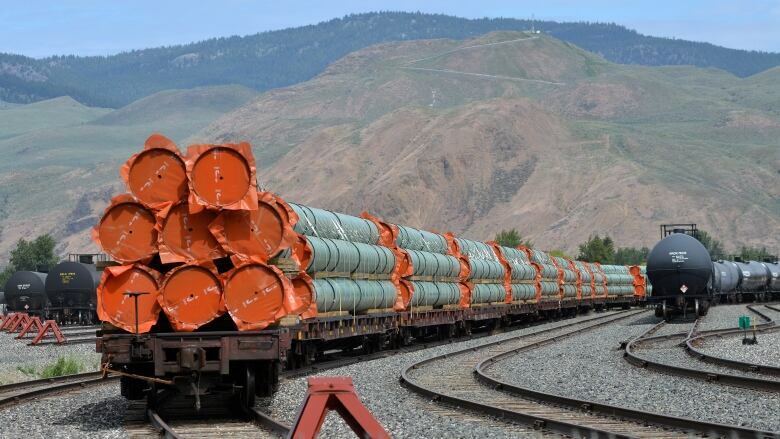 They included moving the marine terminal for the pipeline from Burnaby, B.C. to a less-sensitive site, changing the project's route and pursuing better risk mitigation measures — changes that could satisfy at least some of the First Nations peoples who stand firmly opposed to the project in its current form. Other First Nations, Papillon acknowledged, will always oppose the project no matter what modifications are made. "Some have used some very strong language against the project, but others are more nuanced." Regardless, the renewed Indigenous consultation process, paired with the NEB's new environmental assessment on marine impacts, means a new cabinet decision is still at least months away, if not a year, Papillon said. "The simple fact that this is an open-ended timeline indicates they're expecting it to take time," he said of Iacobucci's new process. "But what's interesting is, if it works this could be a model for a lot of other projects that are coming online."